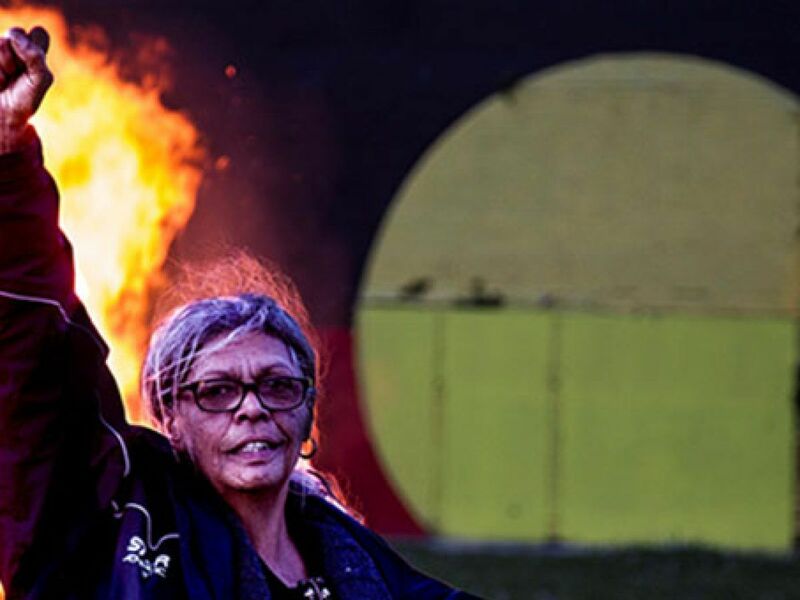 The Redfern Aboriginal Tent Embassy exhibition at 107 Projects showcases six Australian photographers who (over 15 months) documented the successful protest for low-income housing by the indigenous community in the heart of Sydney city. The protest was in opposition to a proposed multi-million dollar commercial development by the Aboriginal Housing Company (AHC) on the historic site of the first land ever granted to Aboriginal people by the Australian Government. Although many photographers visited the tent embassy and contributed to documenting it, the six photographers featured in this exhibition spent immeasurable time portraying the personal commitment required for this kind of protest. Although overlapping in their record of key moments, each photographer has their own personal angle and style and together they provide an invaluable collection that is testament to the passion of a grassroots activist photographer who is unified with the protestors in their fight for justice. 107 Projects and Head On Photo Festival are supported by the City’s Grants and Sponsorship program.